Today I bought acoustic glass (XI). This weekend I'll assemble them. I hope they help. It could not be worse. Today I've been out driving for about 100km and been trying to fix / locate the problem. I've tried to mask all the gaps at the hood / front. Around the doors and windows and much more. But nothing! 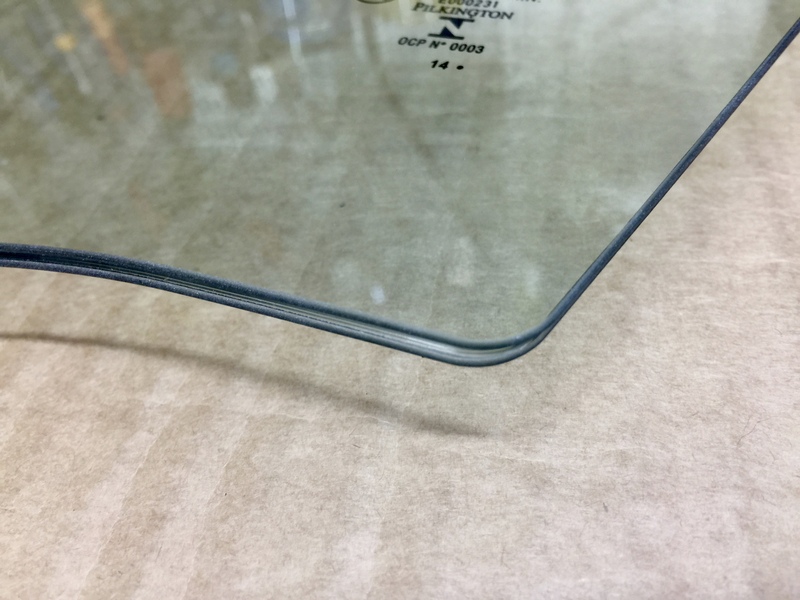 I've bought 4mm window seals at the local hardware store. Sealed all around the doors for a super tight seal. It might have gotten a little better but it was like 5% better so that wasn't the problem either. I then started thinks what was different on this car from my previous s205. Except the 4matic it's the pano-roof and the electric folding mirrors. I don't think it's the roof since the noise doesn't sound like it's located from that area. I then tried to fold in the mirrors electricity and went out for a short drive. And the wind noise was much worse then before. I'm not sure but after testing this much, I might think that the noise is located from the side mirrors. I tried my car and then my fathers 7 year old b8 Audi A4 avant. My car is as noisy (wind noise) at about 110-120km/h as my fathers car is at about 160km/h. Not okay! And my fathers car I a very basic A4 and one of the first B8-s.
Last edited by IstvanC; 11-03-2015 at 04:01 PM. 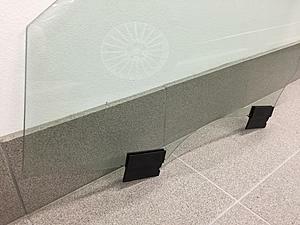 Now I have installed and tested acoustic glass. I just noticed a small difference. Not more. Much of the noise is structure borne sound. I think the problem is aluminum. It is disappointing, because the car is very well built otherwise. This can be seen for example when you take apart the door. Everything is well made with good materials. It is a delight to the eye. Glad to hear, and thanks for posting!! MY C class has the most wind noise of any car I've been in. I have convertible that is honestly quieter. My dealer admits it's there and a problem, but say it's 'normal for the car'. It hits near 80 db on drive, and they recommended I wear hearing protection in crosswinds. No joke! If I could get 60% of what I paid back on my low mileage car, I'd be in a Lexus. Or even a Hyundai at this point. Last edited by kellens; 11-05-2015 at 08:58 PM. My dealer has put in over a hundred complaints on this car's wind noise, so I'd guess there over 50,000 "never heard that befores". Maybe a quarter million worldwide. THIS is why MB is a dyeing car brand. Poor build. No backing by manufacturer here. I got my W205 9 days ago. Told them I'd noticed the wind noise when they let me test drive it for two days, and mentioned that a TSB had just come out in German. Made an appointment on Monday, after a lot of driving over the weekend confirmed the noise in various situations. Brought it in today. They went through the TSB steps (lots and lots of tape) and ordered the acoustic glass at the end. It was as straightforward as that. No complaints, no eye rolls, no shoulder shrugs. Not sure why a dealer would do anything else, if they have access to the TSB. You're basically giving them a license to print money. Sounds like hours and hours of work to tape and adjust everything before even ordering the glass - all on MB corporate's dime. It's like fixing rattles under factory: as long as you stay relaxed about the rattles to minimize aggro and give the dealer pointers to replicate the rattling, you eventually get the rattles fixed, the dealer gets to bill lots of labor, and everyone's happy. Is this only on 2015 model year? My mom just ordered a 2016 to be built in late January, hope she won't have to deal with things like that especially after spending so much money! 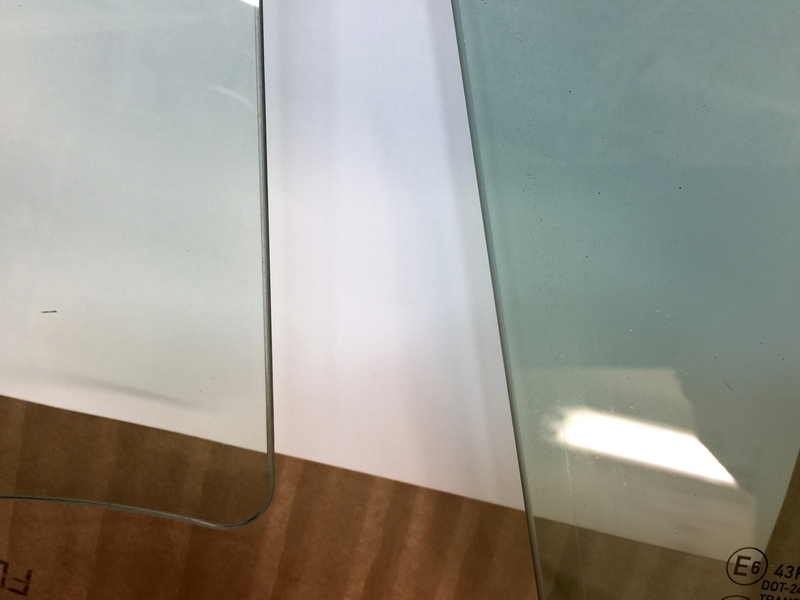 Note: Acoustic glass is less tinted. To the left is the acoustic glass. To the right is the old glass. Unfortunately, no. 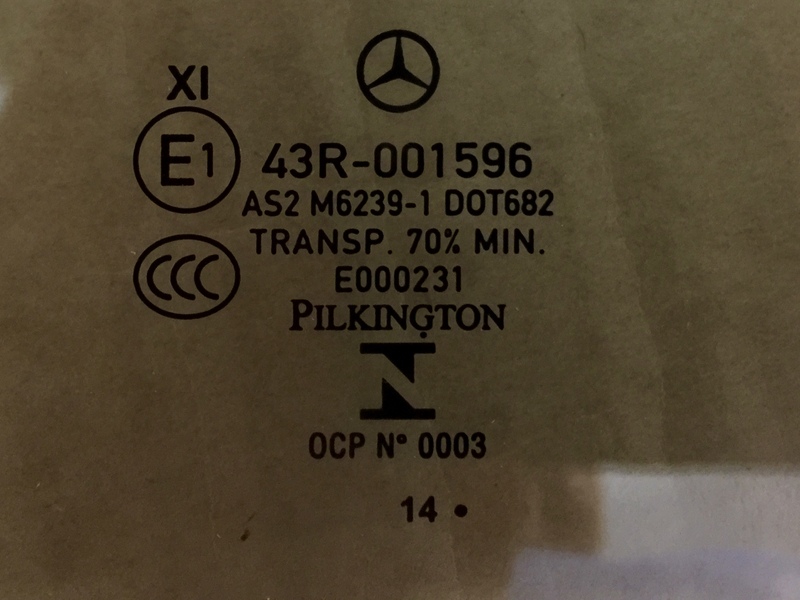 My dealer has a lot full of 2016 an my service manager said he has submitted many tickets to MBUSA for them. It may not be apparent when the car is new, may take some temperature/humidity cycles for it to show, and some only bad in crosswind. This build issue affects all MB to date, though some either lucked out on their build, or don't notice it. The 2016 sadly didn't address any number of other 2015 issues well brought up on this board. They still can't consistently get the fuel door and rear bumper aligned. And my car with software steering was next to a 2016 being serviced for the same (so far unfixable) problem. MB, as can read on other forums, is as bad as you can get for build quality, and it seems MB isn't taking improvement seriously. You won't be able to find a much less reliable car. But it is a nice design and interior, and when operates, handles well! That said, never know, your mom's might be one of the few with fewer issues, OR your mom might be kind of owner that doesn't care or notice the bugs in the design and built...many buy it just for the brand and logo. Last edited by kellens; 11-06-2015 at 07:33 AM. I was told by the service manager that the wind noise detection process is conducted by 4 lines of technicians/skill set, who examine different aspect of the issue (electricity, mechanics,...). @ Vic Viper, Is this also the case in Sweeden? 80 db? That's ****ed up. Start shaming them on their social media feeds until they pay attention, cause that's not normal. I have a bit of wind noise, especially on a cross wind, but nothing like that. 80 is like a garbage disposal. You must have a pretty quiet garbage disposal!! The 80 doesn't seem that loud, just right by the ear and at the pitch of a squeal. It really takes a crosswind to make it do that. But I imagine it would cause hearing damage over long run. MB doesn't care about social media or build quatilty. This issue is well known. They just deny it. My cars in dealer now for other stuff. They're done with wind noise until MB gives further direction, dealer says its an unfortunately normal part of the design. My car was quieter when new, this developed after a couple months slowly. Consider taking to a different dealer? Have you considered telling them you're ready to lemon law your car? That usually gets high level attention. I had a MB CLK550 Cabriolet. It had an electrical meltdown, which after 3 visits for the same issue and finally having to be towed back to the dealer and getting torn apart for two weeks, I just told them calmly I was going to lemon law the car. They had me out of that car that afternoon and into something else. The word you're looking for is 'Dying' and are they really? My experience of MB has been fantastic, yes the car has niggles but their customer care has been fantastic! My first year e89 Z4 was just the same and Bmw were a fraction as helpful. Agreed. Lol, no, MB is FAR from a "dyeing" brand. Rather, they are flourishing. Wow ,that CLK550 Cabriolet was a probably sweet car too. Fun. Fast. I have passed my stuff to a lemon law firm. It's state by state, and it's not easy and based on days out of service. I've been to 3 different MB dealers. They're very skilled in writing up the invoice. Wind noise would never meet the lemon law, every time, they write "within normal specifications of the manufacturer". My keyless entry and steering might get there. They have had it a few times and documented, "No abnormal findings, and no codes, normal operation". Intermittent issues aren't easy. I appreciate your thoughts, and the idea is on my radar. I've tried to be patient and know there's only so much the dealer can do. They don't want my car either. It would take MBUSA to help, and I have a case manager. He's not very helpful in action so far. I hope they do resolve the issues to your satisfaction. 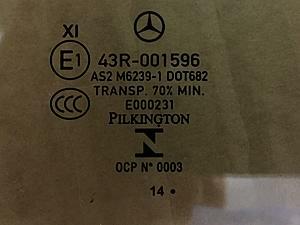 The MB Passion writing (German) that Mercedes made measures for vibration, acoustic and aerodynamic for the C-class Cupe. I hope they develop a package of measures for already sold the W / S 205. It is not a luxury car feeling to run the C class. It has wind noise, road noise and vibration from the engine and the road that enters the passenger compartment. Even the steering wheel transmits vibrations from the road and the engine (so do not even B-class). It's not a good pleasure to ride the car. I demand more of a car for $ 60000-70000. Mercedes stands for more than this. I've driven the Mercedes in more than 30 years, plus 20 years I have spent in the back seat. When the roads and the weather is not the best, that's when Mercedes should be different from all of other cars. I want something extra when I buy Mercedes. That's what I pay for. This alone would make me keep my original glass...no matter how loud my car was. I guess I'm one of the lucky ones, no complaints in the wind noise department (just a creaky driver's door seal on damp cold mornings). As a matter of fact, my late built 2015 C300 Sport is WAY quieter than my wife's loaded 2014 328i xDrive Sportline. Just yesterday for instance she was given a 2016 3 Series GT as a loaner while her front right lower control arm was replaced under warranty, and that GT was incredibly noisy at highway speeds...unacceptable wind noise for both of us. Because I was so concerned my C300 would suffer from wind noise, I've been perhaps hyper-sensitive. Can I hear wind at the windows at speeds over 60mph? Yes, of course I can. But then yesterday we were in our E350 coupe (waiting to trade it in on the GLC we have built and waiting at the VPC to be released later this month) and I was listening to the wind noise at the same speeds and to be honest, it isn't any quieter than my C300. Now, before anyone flames me, I'm sure there are people here who are experiencing wind noise issues that I'm not. I'm just commenting that on my new build 2016 C300 Sport, the wind noise is not an issue in my car. No I don't think that the wind noise is affecting every car either. And my MY2016 is way way noisier than my first MY2015 S205. And from what I'we learned. One of the main issues could be the seals around the doors. Cause if I understood them right, the seal is not put there by a robot, well sort of, but its a machine that is operated by man on every single car. That could be a factor if the worker puts it a little out of place. Now my car is going to the dealer again, now to their bodyshop cause they wanna tighten up, adjust the doors and so on. Lets hope it helps. I can confirm that Mercedes Benz sellers in Finland have received similar official instructions on how to fix the wind noise issue.